Another day, another social media fiasco. This time, involving a Singapore student who posted a photo of his kiss with male partner. Another day, another social media fiasco. This time, involving a Singaporean student who posted a photo on social media displaying a kiss with his male partner. Reportedly from Tampines-Meridian Junior College (TMJC), this student uploaded a photo online on Instagram--of his kiss with male partner. Later, the post began to attract the attention of popular online forum called Singapore HardwareZone. And then went viral. The incident first sparked debate in a forum thread titled, “Omg ghey couple kissing in SG kissing in public.” This prompted forum users to share their opinions on this public display of affection by the same gender. But critics outnumbered the number of supporters, one of whom cursed that they will contract HIV if they remained the way they are. Not long after, the couple in the Instagram post were quickly identified by forum members. They uncovered that the original uploader was a student from Tampines-Meridian Junior College (TMJC). Realising this priceless information, a forum user decided to sabotage the student. He sent these pictures to the school principal. And soon, another user claimed that he sent the school a complaint. Apparently, the student’s boyfriend also came forward in support of his partner by sharing another Instagram photo. The school stated that it was necessary to protect the school’s reputation. This, despite the lack of identification of both characters based on the original Instagram photo. If the student decided not to cooperate, the school decided to allegedly take action and file a police report. Denying any threats of a police report, TMJC principal Pamela Yoong confirmed that a member of the public alerted the school. He added that they later identified one of the two people in the picture as a fellow student from TMJC. “We then advised the student that it would be in his interest to remove the post to protect his privacy and wellbeing,"Yoong said. She added, "We did not mention the filing of a police report." "We have always taught our students to behave with propriety on-line and in all other situations," she added, as she responded to media queries. Unfortunately, for many who identify as lesbian, gay, bisexual, and transgender (LGBT) community in Singapore, life is not easy. 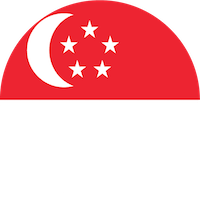 People that identify as lesbian, gay, bisexual, and transgender (LGBT) in Singapore face numerous challenges in a generally conservative country. Compared to other developed countries like the United States, the law for LGBT rights here still has a long way to go. It still dictates same-gender sexual activity as illegal for those committed both consensually and privately, with criminal charges still declared occasionally under Singapore's Section 377A. Singapore law does not recognise homosexual relationships, and it even banned child adoption by such couples. In a country where government officials exercise their authority to disrupt any human rights and freedom for LGBT individuals, they do not possess any form of anti-discrimination protections to stand up for themselves. On a positive note, views on issues related to homosexual relationships are changing at a slow pace globally. This is in line with increased social consensus of progressive attitudes towards the LGBT community, especially with the younger generation's gradual evolving attitudes and increased tolerance and acceptance. We hope that change comes to Singapore's shores soon and everybody is deemed equal, no matter their sexual preference.